Who Doesn’t Love a Good Cookie? I’ve gone on a bit of a baking binge recently. As many of you know, something happened when I got pregnant with my second child, which was like flipping a switch with me and sweets. I don’t crave them, and in fact I am mostly turned off by them. I used to love cookies, cake, pie, chocolate…you name it I was all over it. After I had my daughter I expected some of those cravings to come back, it’s been almost two years and still nothing. Which brings me to the strangeness that is me. I love BAKING cookies. I even love the way they smell. I’ve always loved baking homemade bread, but until recently never really bothered baking anything else. Baking, as many of you know is a rather precise science, and frankly I’ve always thought of it as much too restrictive and structured for my liking. I grew up in a kitchen where recipes consisted of a dash of this and a pinch of that, none of this 1/4 teaspoon nonsense. Nonetheless, I’ve suddenly discovered my real and true passion for making the perfect cookie, and I do think I’ve come close. 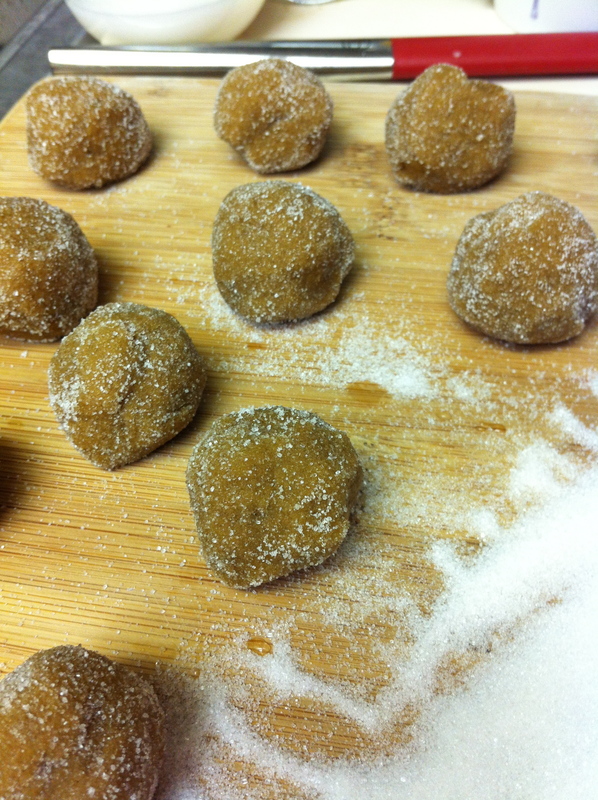 My first attempt was a great recipe I found for molasses cookies. They were simple, easy and delicious. The only real issues I had with them is they aren’t totally a crowd favorite. I only ate about three, then got bored and wandered away. 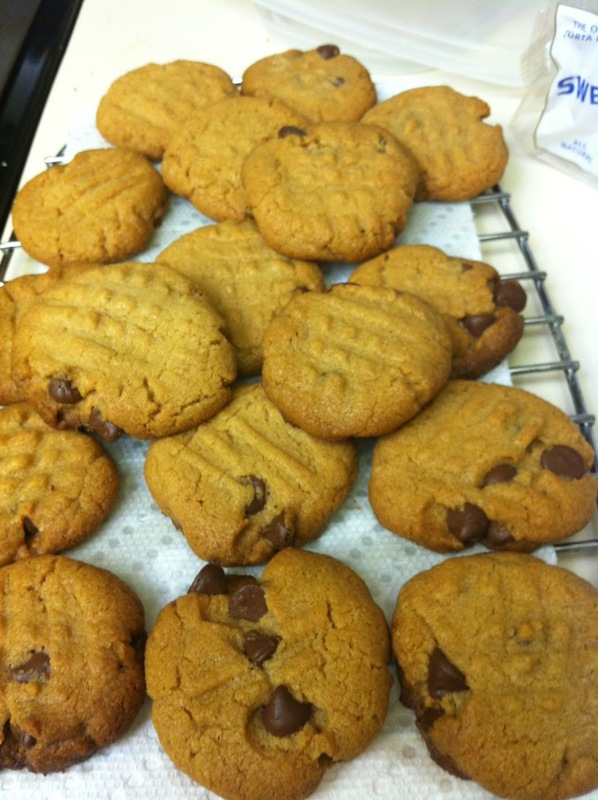 I then attempted to make peanut butter cookies. I hated the first batch, first because I made them on the heels of the molasses cookies, and they should have cooked at a lower temperature. I didn’t give my oven a chance to cool enough, so they were a bit dry. Also, I discovered with my second round of peanut butter cookies a few days following that I actually despise peanut butter cookies. Lesson learned, those were then abandoned. 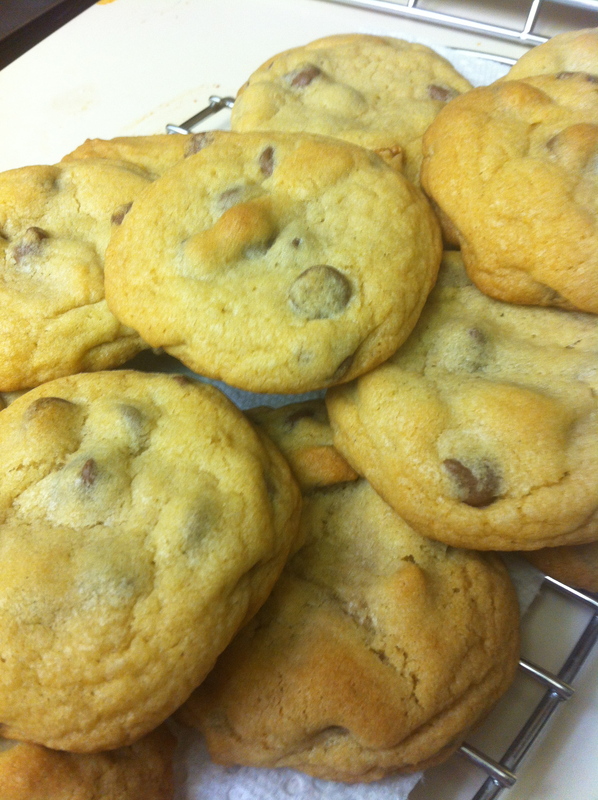 My third and most enjoyable attempt was chocolate chip walnut cookies. My first batch, I had walnuts on hand, but it tired out they were old and gross so I pilfered through my bag of mixed nuts from the holidays and cracked every walnut I could find. 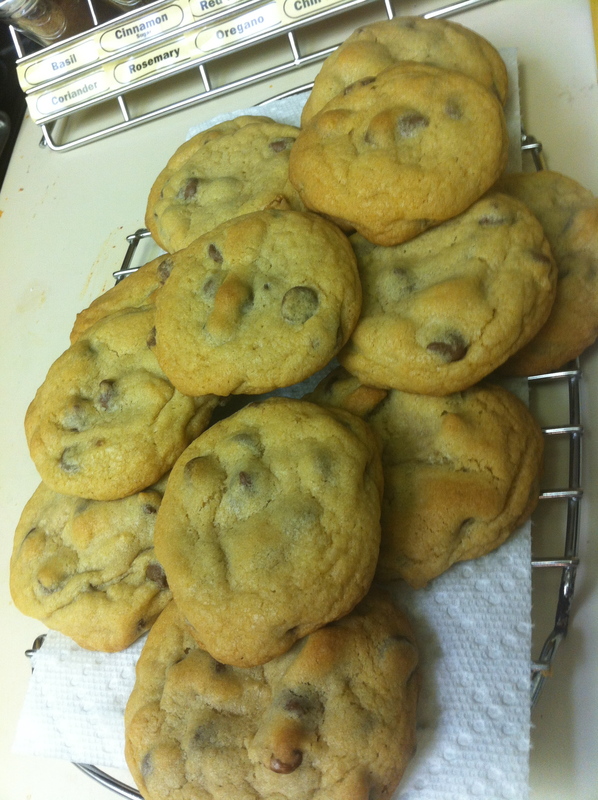 Turns out that didn’t add up to what the recipe called for, so I just added extra chocolate chips. Those turned out well, but in my informal poll of willing cookie eaters, I’ve learned that most people around me don’t actually like walnuts in their cookies. Batch two, same recipe, added more chocolate to sub for not adding walnuts and made them a bit larger than the recipe said to, also increased baking time by two minutes. When they came out of the oven, just a bit brown on the edges I was excited, but then I looked at one of them which seemed underdone in the middle. I waited until they had all fully cooled, and viola! Perfect! Since I’ve made what basically amounts to 50 cookies in the last week or so, there was a small cookie making embargo put on my kitchen. We did just run out of the good cookies, however, so I expect that this embargo may be short-lived. Next up, I may even attempt my mothers famous banana cake, partly from a mix, with homemade frosting and banana’s. What is your favorite thing to bake? I have a new found love of baking, too. I’ve always enjoyed baking but never seemed to get the results I wanted. My friend recently started her own bakery and slowly I have thrown myself into the mix. We’re mostly specializing in custom cakes but we have never turned anything down! Lately we’ve been making a lot of cake pops. If you ever want to rekindle your love affair with sweets, you might want to try us. The sky is the limit! We’re officially Taste of Love Bakery, but you can look us up on Facebook as “Marie’s Cakes”. Keep up the baking, and the blogging!